My name is Wendy Carrillo, and I’m running for Congress in the upcoming Special Election being held today, on April 4 (yes, that race with 23 candidates running—and a write-in). The people of our community have a tough choice thas they make their way to the polls. There are a number of qualified candidates in the race. Many are young, progressive women, and people of color. I’m proud to be in the field alongside so many qualified candidates. And it is my hope that the voters of U.S. District 34 will make their vote count. My story is the story of millions who are seeking the American Dream. I was born in El Salvador and I came to the US during the civil war when I was five years old. I am an unrecognized refugee, and, like many children who fled violence and continue to flee as unaccompanied minors, I was undocumented. My new life began in the neighborhoods of Boyle Heights and City Terrace. I was fortunate to have a pathway to residency and citizenship and took an oath to protect the Constitution of this country. I am the oldest of five daughters. My parents, who are Mexican and Salvadoran, taught me the importance of being independent and committed to community. I am a daughter of this district. I went to both Sheridan and Harrison Elementary School, El Sereno Middle School, Roosevelt High School, East LA College, Cal State LA and USC for graduate school. While the community that I know and love faces changes, I was fortunate to be able to buy a home in Boyle Heights just blocks away from where I grew up on Chavez and Saint Louis. I’m running because our nation is facing a unique threat to its founding values—that all people deserve freedom. I want to be a loud, bold, unapologetic progressive who will defend this community and take the voices of all our neighbors into the halls of Congress. I have personally experienced the attacks of Trump’s normalized hate towards immigrants. At Standing Rock, in the fight against the Dakota Access pipeline, I also experienced the byproduct of a militarized police state that teargassed and water-cannoned grandmothers, young women and peaceful water protectors. As your member of Congress, I wouldn’t need a briefing on the importance of having a national $15 minimum wage; I’ve juggled multiple minimum-wage jobs. I wouldn’t need a briefing on the importance of making college affordable; I put myself through college. I wouldn’t need a briefing on the real fear in our communities; too many people I know are walking around with their documents in fear of ICE. I believe in the intersectionality of progressive values, that all of our fights have commonality. I believe that women’s rights are human rights, that love is love is love is love, that Black Lives Matter, that the Fight for $15 should be national, that Science is Real, that facts are not alternative facts, that we should Say Her Name, that Mni Wiconi (water is life), that we’re Here to Stay, and that Sí, Se Puede. No one will understand your struggle more than I, no one will fight harder for you than an unrecognized refugee, a formerly undocumented child who has lived the experiences many in our community have faced. And with perseverance and hard work, I will fight to ensure that the American Dream is available to all, not just a few. I will fight for the opportunities and dignity our community deserves. I’m asking that, today, on April 4, you go to the polls, and you vote for me. Let’s go to Congress, together. 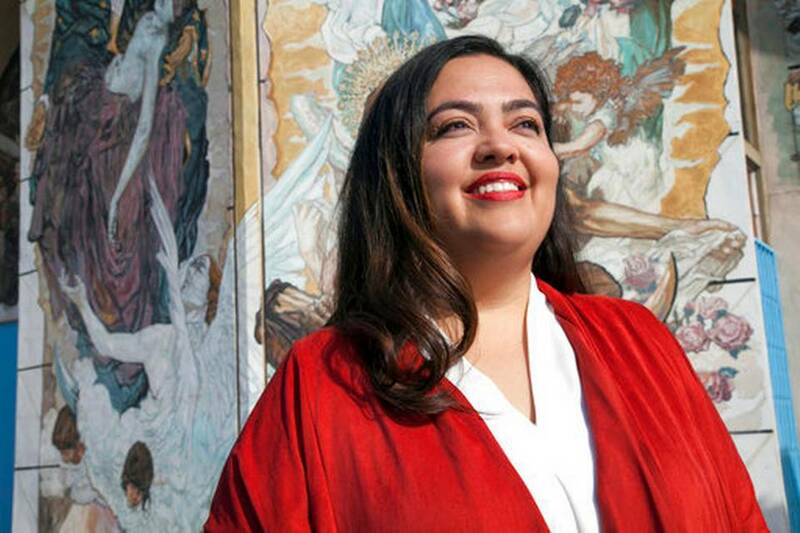 Editor's note: While we are proud to present this very moving piece by Congressional candidate Wendy Carrillo, it comes late in the electoral process. The election is today. We offer our apologies to readers who believe it is the responsibility of community media to make endorsements and be fully engaged with the local political processes occurring in the communities we like to claim we serve. While we published an analysis of the race several weeks ago, we are essentially a two-man team here at Brooklyn & Boyle. As such, we are especially appalled at the irrefutable evidence gathered by the admirable--if, like us, somewhat hampered by shoestring or non-existent budgets and short-handed editorial departments--at Latino Rebels. with respect to the secret sexism of Berniecrat Arturo Carmona. We vehemently agree with Carrillo when she says there are a number of qualified women and people of color in the race. But as men, we should categorically seek to check our patriarchy and check ourselves. Our world and our societies need radical change. Radical change should begin at both the top and the bottom and embrace both intersectionality as well as full-on feminism, particularly when it is a feminism led by women of color. In keeping with that, Brooklyn & Boyle is proud to make a triple endorsement of the three most qualified and xingona candidates in the race to represent U.S. Congressional District 34. We would be equally well represented in Washington by Maria Cabildo, Wendy Carrillo or Yolie Flores. We desperately need to change the paradigm the privileges men and allows them to continuing leading our nation and our planet into inevitable peril. 'Nuff said!---ams.